The Supreme Court on Friday dismissed an appeal filed by 9 Private GSM Cellular Companies licenced in India (namely Aircel, BMCL, Bharti Cellular, Idea Cellular, Hutchinson Essar, Reliance Telecom & their allies) & their association against TDSAT, Delhi’s judgment affirming that the appellant service providers discriminated between subscribers of the same class; one on the ground that the call ended with the private parties and another on the ground that the call ended with BSNL/MTNL. The appellants had also preferred a writ petition in the High Court during pendency of the matter before tribunal for interim relief which had disposed it off directing TDSAT that no coercive actions till the final judgment by TDSAT should be taken. 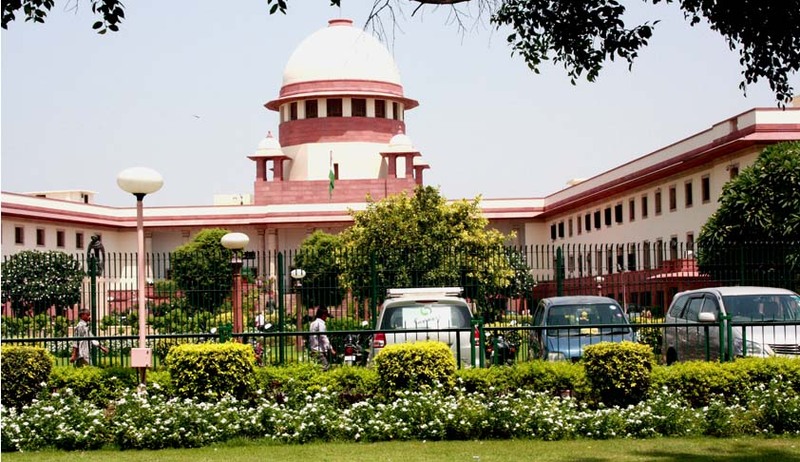 The judgment authored by a bench of Justices S.J.Mukhopadhyaya & P.C.Pant held that the classification of subscribers into two categories on the basis of calls made by them from one private network to another and from a private network to BSNL/MTNL network is violative of Art 14 of the Constitution of India & does not sustain the judicial scrutiny of reasonable classification test laid down in State of West Bengal v. Anwar Ali Sarkar & Anr. With the advent of telecom technology in the Country, for grant of telecom licences, India was divided into four metro service areas of Delhi, Mumbai, Kolkata and Chennai and various other telecom circles which were roughly contiguous to the State of India. In the first phase, licences were granted for the four metro service areas in 1994 and thereafter in the Circles/States in 1995 defining the geographical limits within which the licensee may operate and offer the services. For Mumbai, Chennai, Kolkata and Delhi, in the aforesaid manner, separate licences were issued by the Department of Telecommunication (DoT). Separate and distinct licences were issued for the States of Maharashtra, Tamil Nadu and West Bengal excluding the three metropolitan cities of Mumbai, Chennai and Kolkata respectively for which licences were given to MTNL. The state of Uttar Pradesh was divided into two Telecom circles, i.e., U.P. (East) and U.P. (West) with separate licences for both. service areas respectively, is permitted subject to condition that the access provider will operate within the existing licensed service area and shall not be permitted to create infrastructure outside its licensed service area for the purpose of inter-service area connectivity. With the above arrangement, calls within a State in the above mentioned four states were treated as intra-service area calls for the purposes of routing as well as ADC. The final result of this notification was that the metros were merged with the respective State circles and the calls from metros to the remaining areas of the respective States and in case of U.P. (East) and U.P. (West) circles from one to the other, were treated as intra-circle calls. TRAI further issued another directive dated 27/2/2006 wherein appellants in these four States were directed to discontinue differential tariffs levied for calls terminating in the network of BSNL/MTNL as compared to calls terminating in the network of other private operators in another, citing it to be discriminatory and inconsistent with the amended licence condition notified by the DoT on 20/5/2005. The appellants complied with the directive dated 27/2/2006 and submitted a compliance report to the Authority. Subsequently, by its directive dated 22/3/2007, TRAI directed the appellants to assess the total excess amount charged from the subscribers; keep the entire amount in a separate Bank Account and intimate to it the names of the Banks in which such amount has been kept. After receipt of this notice the appellants challenged the directive dated 27/2/2006 on the ground that it was discriminatory and inconsistent with the amended licence conditions notified by the DoT on 20/5/2005. The main plea raised by the appellants justifying the differential half of calls from private operator to another private operator vis-à-vis calls from private operator to BSNL network was that direct connectivity could be achieved between networks of private operators but it could not be achieved between private operators and BSNL network. After hearing the parties, the Tribunal passed the impugned order dismissing the appeal holding that the appellants were charging higher tariff for calls made from their network in the metros to the BSNL and MTNL networks in the remaining areas of the State compared to calls made from appellant’s network in the metros to another appellant’s network in the remaining areas of the State. The appellants contended before the Supreme Court that the differential tariffs are because of the difference in the cost elements involved in the two natures of calls. Insofar as calls terminating in the network of BSNL/MTNL are concerned, as direct connectivity had not been established between the appellant’s network and BSNL/MTNL network, the appellants were obliged to pay carriage charges to BSNL and MTNL for calls terminating on their networks. But in case of a call terminating in the network of the private operator these charges were not applicable as direct connectivity had been established between the private operators. Therefore, the cost elements involved in the two calls were different leading to a difference in tariffs charged by the service provider for such calls from its subscribers. Thus the reason for the differential tariffs as per the appellant was that the call between subscribers of private operators was routed directly and costed as a local call while the call to a BSNL/MTNL subscriber was routed through another place and costed as an STD call.It was further contended that the aforesaid position had continued right from July, 2005 in the knowledge of TRAI and now in sudden turn around, it chose to disregard the compulsions under which the private operators were constrained to offer differential tariffs and directed them to discontinue the differential tariff. Its net effect was to force the operators to increase their tariffs for calls terminating on the network of other private operators or alternatively reduce the tariff for calls to BSNL/MTNL subscribers and pay the difference from their own pocket. Appellants also contended that there was absolutely no violation of Art 14. TRAI contended that it was the duty of the appellants to arrange the leased lines for establishing direct connectivity with the BSNL network as they had done to connect each other’s network. The appellants did not plead that BSNL denied the provision of Points of Interconnect (‘Ps of I’) and the only pleading was with respect to non-grant of leased lines by BSNL. In fact, the appellants never approached the BSNL for provision of Ps of I. It was brought to the notice of the Court that immediately on issue of letter by the DoT when the metro circles were merged with the respective state circles, BSNL had issued a Circular on 24/5/2005 asking the appellants to sign addenda to the existing interconnect agreements for provision of Ps of I. However, no effort was made by the appellants to this effect. The Court noticed that the appellants took advantage of the aforesaid provision but they did not apply before the BSNL/MTNL to apply new Ps of I and treating the tariff as inter service charges differently from same sets of consumers. Similar stand was earlier taken by the appellants and respondents before the Tribunal. The Tribunal held that there was no reason that in case infrastructure for direct connectivity could be created for connecting amongst themselves the networks of the appellants, the same could not be done for connecting the MSCs of appellants’ networks to those of BSNL/MTNL networks in the four service areas in question. The Tribunal held that the appellant could have made use of the similar leased lines as they had between their networks and asked for Ps of I from the BSNL for the MSCs located in these four service areas which was not done. No effort was made by the appellants to create this direct connectivity and they took recourse to the easier way of handing the traffic to the BSNL as National Long Distance Operator and continued charging the consumers higher tariffs. The judgment authored by Justice Mukhopadhyaya quoted Clause 2(k) & 6 of the Telecommunication Tariff Order 1999. As a general condition clause 6 prescribes that no service provider shall, in any manner, discriminate between subscribers of the same class and such classification shall not be arbitrary whereas Clause 2(k) defines “Non-discrimination” to mean that service provider shall not, in the matter of application of tariffs, discriminate between subscribes of the same class and such classification of subscribes shall not be arbitrary. The question whether the non- discrimination clause (clause 6) is applicable to the class of subscribers making call to another private network from a private network as compared to the class making call from a private network to BSNL/MTNL network was answered in affirmative. Reasoning in detail as to how differential treatment was given to pvt cellular companies to each other for profit making, the Court found clear violation of Art 14 and dismissed the appeal on merits.